There was a bit of an interesting lull at the end of the first week, though nothing much of note to discuss. You may have certainly noticed some corresponding trends on your own site. 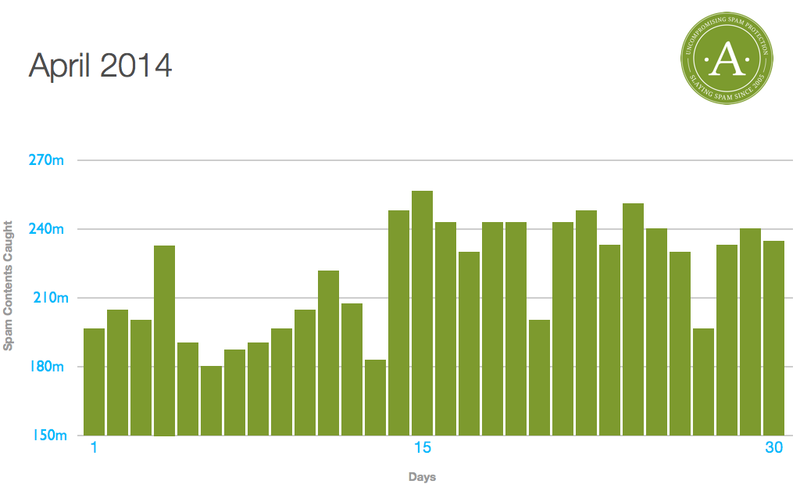 We experienced no downtime or service interruptions throughout the month, so any dips in the chart simply manifest lower periods of general spam activity. We missed only about 1 in every 6,904 pieces of spam content (0.0145%). So, what does over 6 billion pieces of spam content really look like? If you assigned each piece of spam content its own seat, you could fill nearly 125,000 Yankee Stadiums. + Is spam the latest weapon of the US government?